Former Indian cricketer Navjot Singh Sidhu on Tuesday talked about arranging a cricket series between the winning teams of T20 leagues of both Pakistan (PSL) and India (IPL). He said this while talking to Pakistan Tehreek-e-Insaf (PTI) Senator Faisal Javed, who was given the responsibility to look after Sidhu while he was in Pakistan. 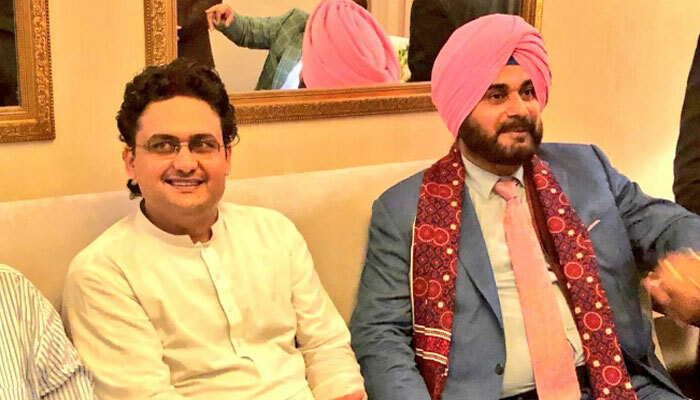 Sidhu, who recently visited Pakistan to attend Prime Minister Imran Khan’s oath-taking, shared his views in a telephonic conversation with Senator Javed. The two figures discussed a three-match series between Islamabad United and Chennai Super Kings. It was then decided that Sidhu would inform the Board of Cricket Control India (BCCI) and Javed would share the series’ proposal with Pakistan Cricket Board (PCB). Javed said that a discussion would later be held on dates and venue for the proposed series. He said that cricket matches would help bring the two countries closer. During the conversation, the PTI senator conveyed PM Khan’s message in which he thanked Sidhu. In response, the former Indian cricketer termed the hospitality of Pakistani people priceless.